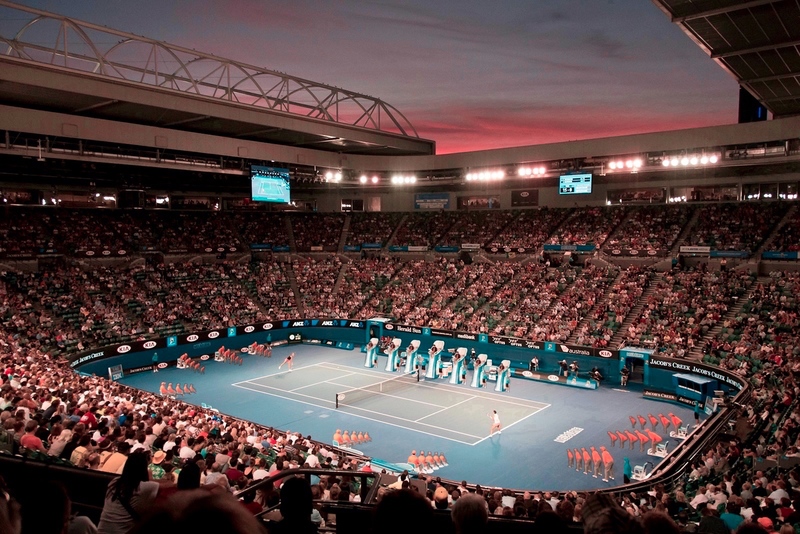 I am a long-time observer of your tennis event called “The Australian Open”. You will of course agree that our country (Australia) is essentially nothing: a desert land of pitiful, inconsequential nobodies. But for fourteen days each year, your Australian Open turns the beautifully various eyes of the world’s peoples on us! Australia! It is a singular honour. So why do you humiliate us? Do not misunderstand me. Your tennis event certainly provides a spectacle. The “Hot Shots” segment alone showcases many surprisingly fine instances of tennis. Nor do you fail to deliver world class facilities, tasty dining options, off-court entertainment, efficient ticketing and entry management solutions, or comprehensive and insightful coverage through your broadcast partners. The issue at stake is more fundamental. Because what is tennis, really? Is it not, at its heart, a set of rules? And does it not follow that if the rules are not enforced, tennis ceases to exist? A SPECTRE OF INJUSTICE threatens the purity of our beloved game. It seems that only one chair umpire and nine line umpires, with the assistance of only the Hawk-Eye device, are expected to adjudicate an entire tennis match! How? It is only one person and one computer system better than the United States Supreme Court! Based on data I manually logged from 6,322 live and televised tennis matches, I estimate that a typical line umpire operates with only 96.9% accuracy when calling balls that land within 50mm of a line. Overlaying my (ground-breaking) game theory analysis of the Hawk-Eye challenge system and Hawk-Eye’s own (substantial) error rate, I estimate that the current system results in approximately 1.46 ± 0.42 points per match being called INCORRECTLY. My “Minimum Safe Umpiring System” fixes this, with only a moderate increase in match duration. No single line umpire will shoulder the absurd burden currently imposed upon them. Five line umpires, standing one behind the other in order of height, will vote on each call for each line. Very tall and very short aspiring line umpires will no doubt hear this and say, “It’s about time!” To eliminate “Groupthink” tendencies, umpires will lodge votes through discrete personal Bluetooth devices. Hawk-Eye will watch every shot and its decision will count for a further two votes. You are no doubt wondering one thing: how could a chair umpire credibly overrule any such decision? For that reason, I propose a panel of seven chair umpires to preside over each match. Most existing chair umpire decisions will be decided by simple majority following a brief chair umpire conference to be held publicly for transparency and the crowd’s edification. In addition, any five chair umpires acting together will have the power to overrule any joint decision of the line umpires and Hawk-Eye. If only four chair umpires wish to overrule a decision, the question will be referred to a joint sitting of all 52 umpires on the court, with each player having one minute to state why they deserve to win the point. In the event of a tie, the only fair solution is a complete restart of the tournament. While you must by now see the wisdom of this approach, there are two reasonable objections that need to be addressed. First, players may be concerned that the admittedly numerous umpires will obstruct play. I believe that this will merely require adjustment. After all, players adjusted when nets were introduced into royal tennis in the 1500s, and they sit in the middle of the court! Second, there may be concerns about the additional cost of hiring, training and equipping many thousands of line umpires of vastly different sizes. I leave the bulk of this issue in your capable hands, but personally assure you that if you adopt my “Minimum Safe Umpiring System”, an error will be made at the Australian Open no more than once every 120 years (on average). What is such integrity worth? I put it at $300 million a year. I look forward to your prompt and affirmative response.